To do this set the Show Print Chart Button in the Look & Feel property section. 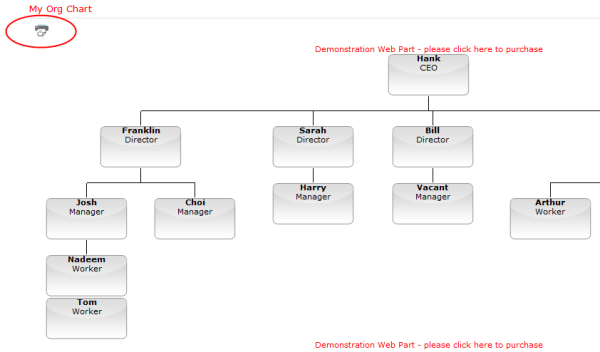 Once the settings have been applied a print button is displayed in the top left hand corner of the organisation chart. 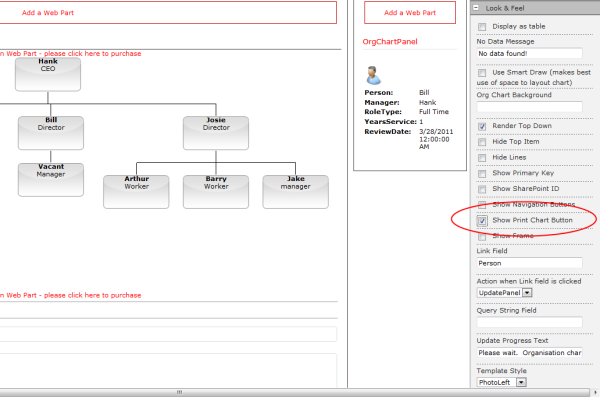 Clicking the print button opens up a new window containing the organisation chart. 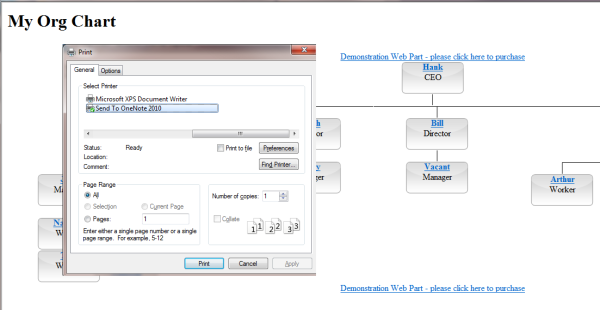 The print dialog box is displayed allowing the user to choose the printer and print the chart. An important point to note is that by default web browsers will not print background colours or graphics. This results in the printed chart as shown. It is possible to enable the background printing of graphics in Internet Explorer. To do this press the alt key then from the File menu access the Page Setup dialog. 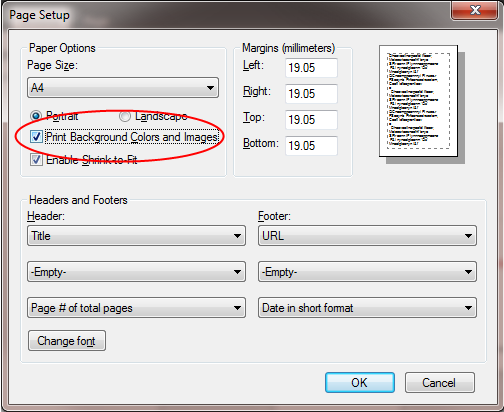 Select the Print Background Colors as shown. Now when printing background images are also included.